This is the device that uses electronic muscle stimulation (EMS) to help tone and firm your facial muscles. Employing clinical technology used by physical therapists for rebuilding atrophied and weakened muscles, it delivers a painless electrical pulse to your facial muscles to rhythmically contract and release, boosting their tone. The result of the treatment tightens the muscles and skin, helping eliminate the appearance of wrinkles and expression lines, while making the chin and neck appear thinner. Recommended for 10 minutes a day, results typically seen in four weeks. Includes button cell battery. Not for use by those with a pacemaker. Not for use by those with a pacemaker. 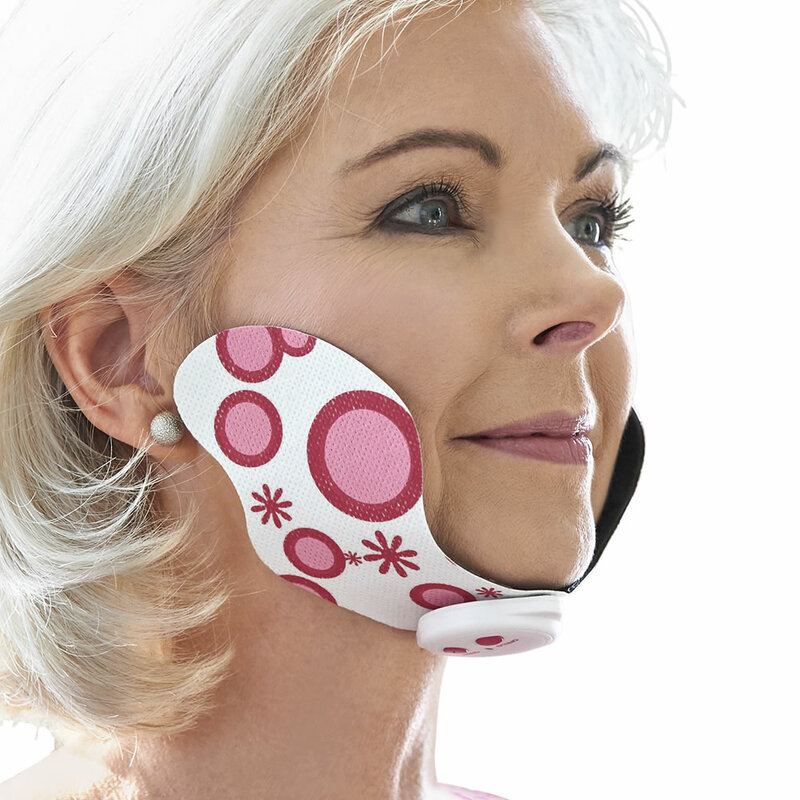 The Chin and Neck Toner comes with The Hammacher Schlemmer Lifetime Guarantee. Items that we sell are guaranteed for their normal life under standard non-commercial use.